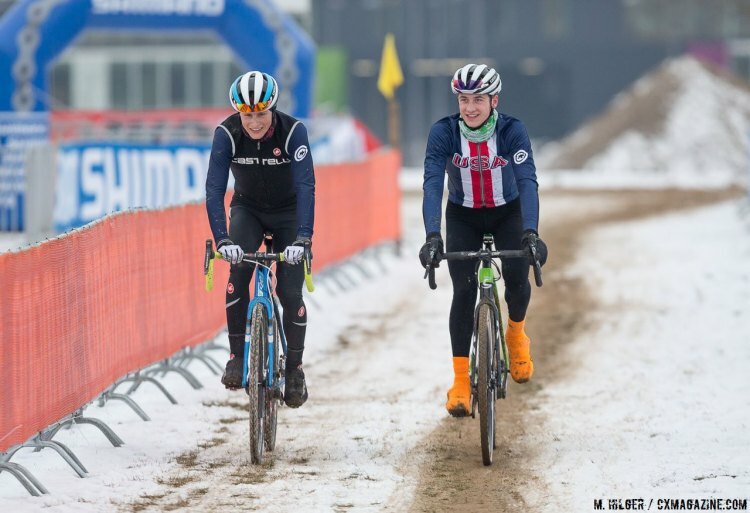 Getting the chance to race in Europe as part of the EuroCrossCamp program is a tremendous privilege for young U.S. cyclocrossers. One young rider who gotten the experience multiple times is Cooper Willsey of Vermont. Willsey first raced in Europe as a Junior in 2013 and has been back three more times. The European trip served as training for Reno Nationals next week. Willsey is currently attending Furman University in South Carolina and will be starting his Nationals week off with the Collegiate Club race on Wednesday. Willsey finished third behind Maxx Chance (University of Colorado) and teammate Brendan Rhim (Furman University) in the 2017 race, so he will be looking to win the Stars-and-Stripes and maybe get a little revenge against Chance. 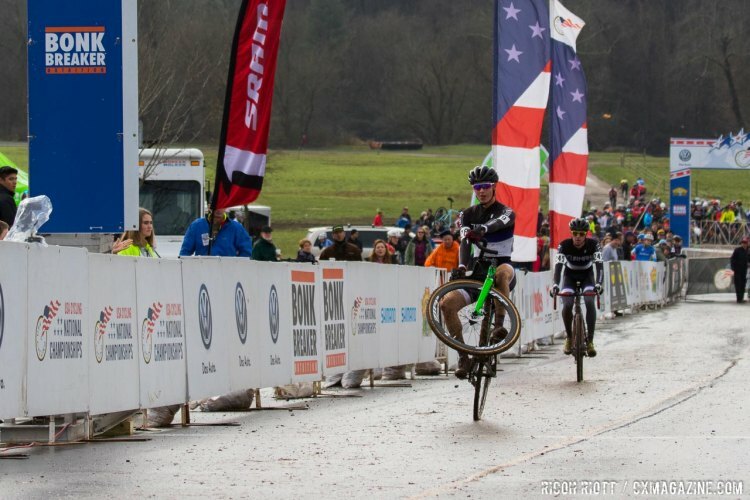 Willsey won the race in Asheville in 2016, so a Collegiate Nationals win would not be his first. 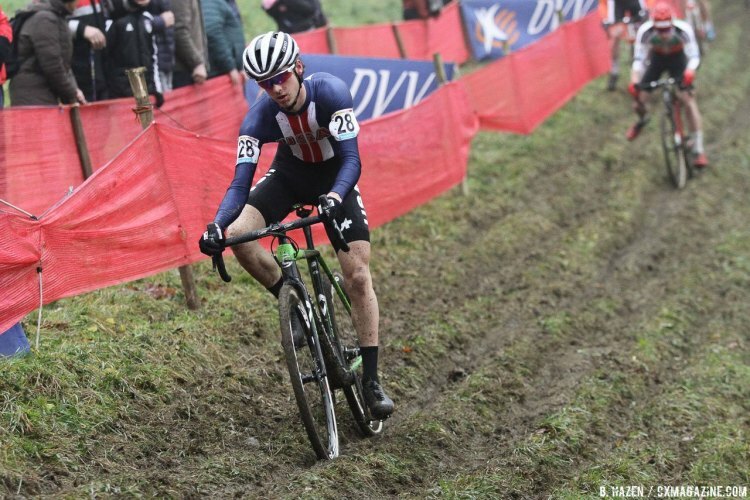 After that, Willsey will swap his Furman kit for the green of his Cannondale p/b Cyclocrossworld.com team for Sunday’s U23 race. Willsey finished seventh against the impressive field last year and admitted he is looking for a win, or at least a podium in Reno. The win will not come easy, with eight of the top ten from Hartford returning in 2018. The Green Mountain State native heads to Reno with some impressive domestic results to his name during the second half of the season. 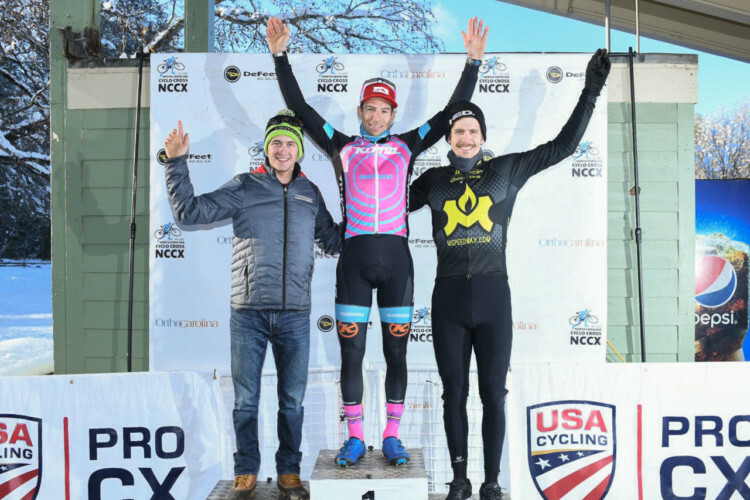 Willsey finished third at the U23 Pan-American Championships behind Hecht and Eric Brunner (Evol Racing), which is really the one race that has brought the nation’s U23 talent together to face off. 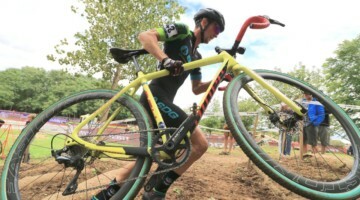 He then went on to podium both days at the Vittoria Series SuperCross Cup and then finished second on Day 1 of the North Carolina GP behind Kerry Werner. 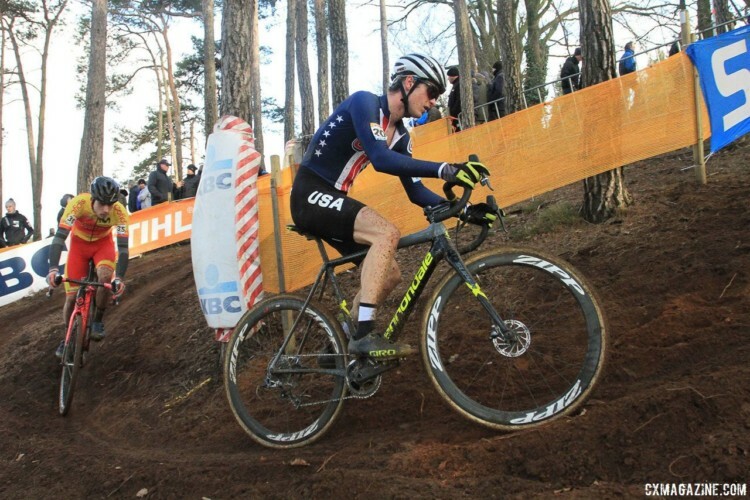 We reached out to Willsey to ask him about what he learned from his latest EuroCrossCamp experience, his expectations for U23 Nationals (answer: a really hard race) and who his cyclocross hero is, among other things. 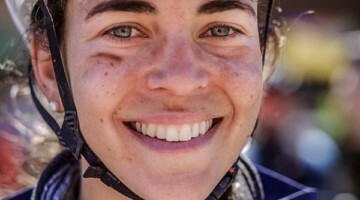 Cyclocross Magazine: First up, can you introduce yourself for readers who don’t know you very well? You’re from Vermont and going to college, right? How long have you been racing bikes? Cooper Willsey: Yes! I live just south of Burlington, VT and I am a full-time student at Furman University in Greenville, South Carolina. 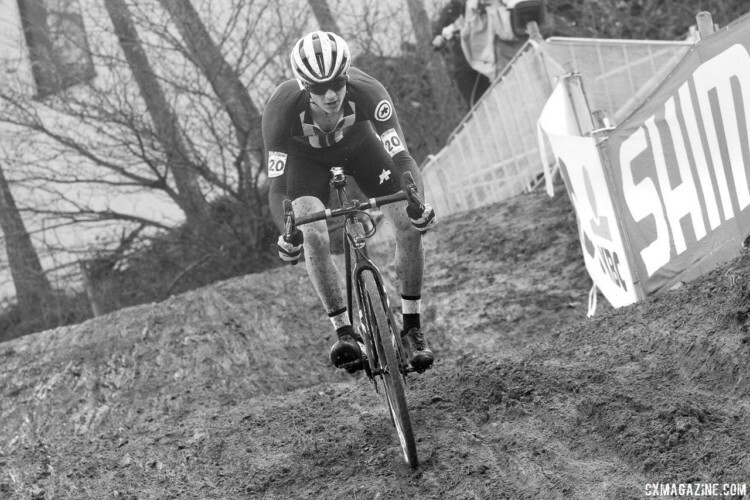 I grew up racing mountain bikes in New England and I’ve been racing cyclocross for almost 12 years now. I am a third-year U23 rider aspiring to race professionally at the highest level on the domestic and international stage. CXM: This was a return trip to Europe, right? Was it your fourth? Why did you want to go back? CW: Yes, this was my fourth trip to Europe for the Keerstperiod race block. My first trip to Europe was in 2013 as a Junior. I’ve been back every year since except for my first season as a U23. As rainy and miserable as Europe can be, I find that the level of racing is unparalleled. The experience gained from competing against the best fosters incredible development as an athlete in all respects. It’s the opportunity to learn that continues to draw me back. CXM: How were things different this time around? CW: This year’s trip included a new race on the schedule, Waaslandcross in Sint-Niklaas, which I had never raced before. It was also my first Pro Men’s race in Europe. I went to the start line with no expectations. It was an awesome opportunity to learn from the very best and left me truly humbled. CXM: Anything the same as previous trips? CW: The weather. Without fail, almost every day of our trip hovered around 40ºF and was wet. It didn’t matter when you rode or where you rode, cleaning bikes and equipment was a daily routine. CXM: It seems like there is a lot of pressure for these EuroCrossCamp blocks. There are high costs, you only get to do a few races and stuff like that. How do you manage those pressures and still enjoy the experience? CW: Managing the pressure is a complicated task especially when your expectations may not match your results, which is commonplace when racing in Europe. The approach you take to the start line there is paramount in order to enjoy and get the most out of the experience. There is a balance between striving for a result and making an effort to absorb as much as possible that must be found. If you expect too much of yourself it’s easy to spoil it. I believe in setting realistic goals and understanding that my results may fall short of my expectations. The key to enjoying the experience is striking the right balance and learning from each race so you can better prepare yourself for the next one. CXM: Did you learn anything that you think will help you down the road? CW: Yes! As a group, we sat down with Stephen Hyde and each had the opportunity to ask him anything and everything. What really stuck with me was how much he spoke on the importance of setting goals with specific focus points as a roadmap to success throughout a season. With our season lasting from September to February, it’s often hard to plan and find motivation for a whole season and his technique could certainly help with that. CXM: Highlight of the trip? Any good stories about other campers? CW: The highlight of my trip has to be the ‘‘Secret Santa” tradition that has been part of EuroCrossCamp for years. It’s really fun and the only restriction is the gift must be less than 10 Euros. They’re often gag gifts and you can only imagine what the Juniors think up every year. CXM: You’ve had some really nice results this season, especially lately. What are your thoughts on the season thus far? CW: I’m satisfied with my season so far. As a full-time student, I cannot race as often as my competitors, so I need to make each race count. I’m happy to have placed consistently inside the top ten in the biggest domestic races and to have landed on four UCI podiums. I’ve tried my best to show consistency with the aspiration of becoming a “professional” rider in the near future. 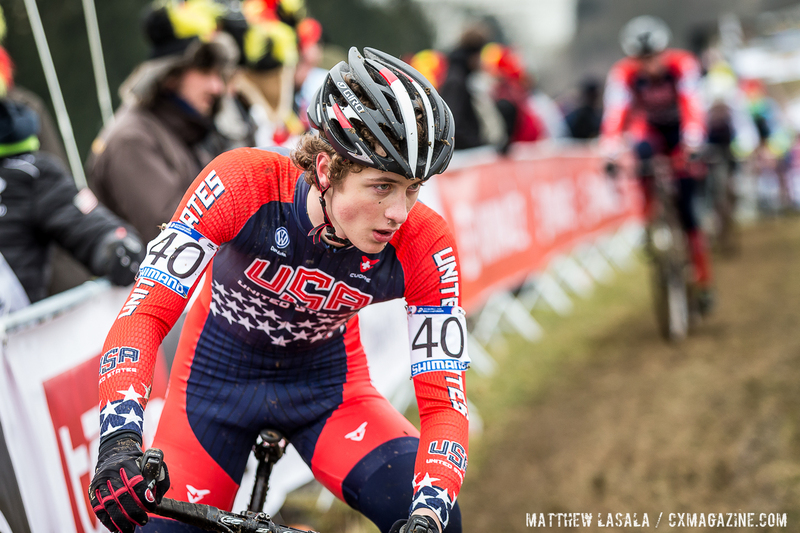 CXM: U23 Nats are coming up. It’s a stacked field, but you took third at Pan-Ams. What are you expecting and what are you hoping for? CW: As always, the front of the U23 field is going to be blistering fast. My third place at Pan-Ams gives me confidence going into the National Championships. A goal of mine for this season that has eluded me so far has been a UCI win. With only the National Championships and World Championships left on the calendar it’s going to be hard to achieve that goal, but I am confident in my fitness and ability and I am miles ahead of where I was at this point last season. CXM: There is a lot of talent at the U23 level right now. How have you benefited from racing with so many talented peers? 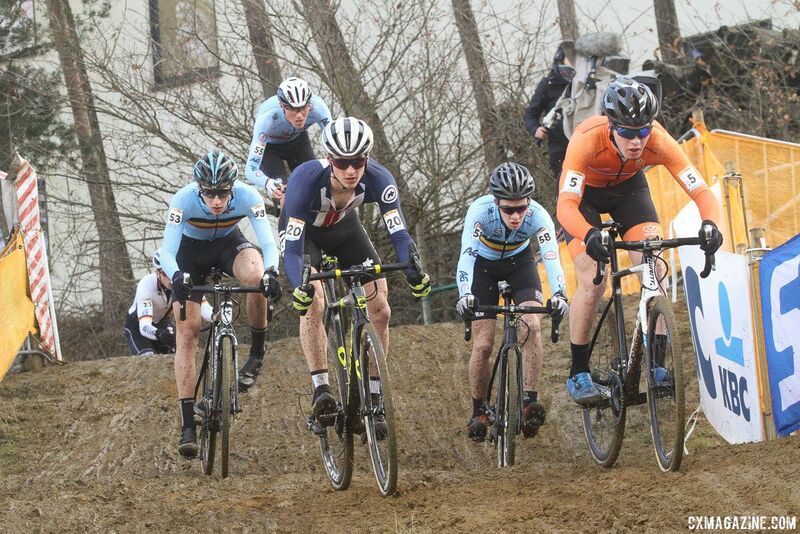 CW: Racing against all the U23 guys is always a blast. On any given day half of the top ten in an Elite race can be U23 riders. I know that I will have to be at the top of my game coming into Nationals if I want to have any shot at another top three. The strength and depth of our category force me to better myself at every turn and so I owe much of my own development to the other U23s. 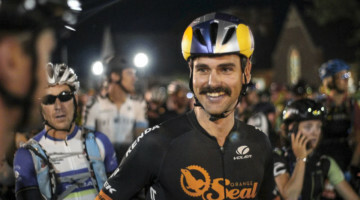 CXM: Less seriously, I think Cooper Willsey is a pretty baller cycling name. Besides maybe Jeremy Powers, which is tough to beat, anyone you’d trade with? CW: I think besides Powers I would definitely trade with Tim Johnson. Everyone knows Tim as one of greats in U.S. ’cross history and his name is synonymous with everything us ’crossers want to be. CXM: Finally, anyone who want to thank? I would like to thank Stu Thorne, Chandler Delinks, Mike Berry, Cannondale and all of those who support me and our team. It’s cliche (but true), without them we would not be able to do what we do. I would like to thank Jake, my coach, for the guidance that got me to where I am today. I would also like to thank my parents and family for continuing to support me in my two-wheeled endeavors! Watch for Willsey in the Men’s U23 race at Reno Nationals on Sunday, January 14. Stay tuned to Cyclocross Magazine for our continuing comprehensive coverage of the 2018 U.S. Cyclocross Nationals in Reno.